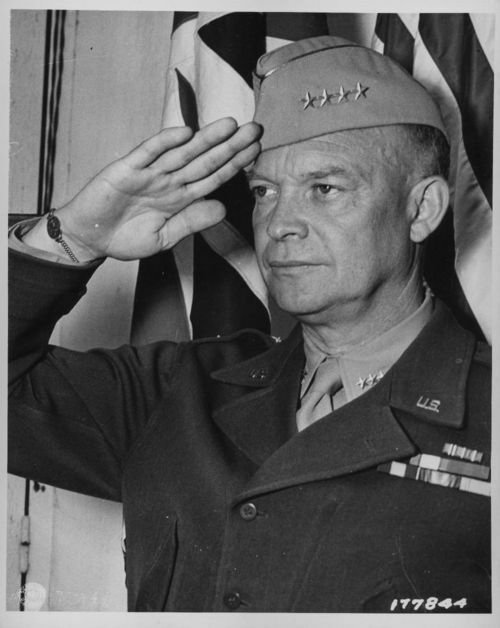 This is a photograph of General Dwight D. Eisenhower, Commander in Chief of the Allied Forces in the North African Theater of Operations, United States Army. He also served as Supreme Commander of the Allied forces in Europe. He grew up in Abilene, Kansas.